Are you planning on traveling to Dreams Resorts & Spa this Halloween? Well, bring your costumes and get ready for a spooky time at any of our resorts. Themed Halloween parties will begin early in the day next Wednesday for the Explorer’s Club. Kids will carve pumpkins and have a Halloween Ball featuring a costume contest. 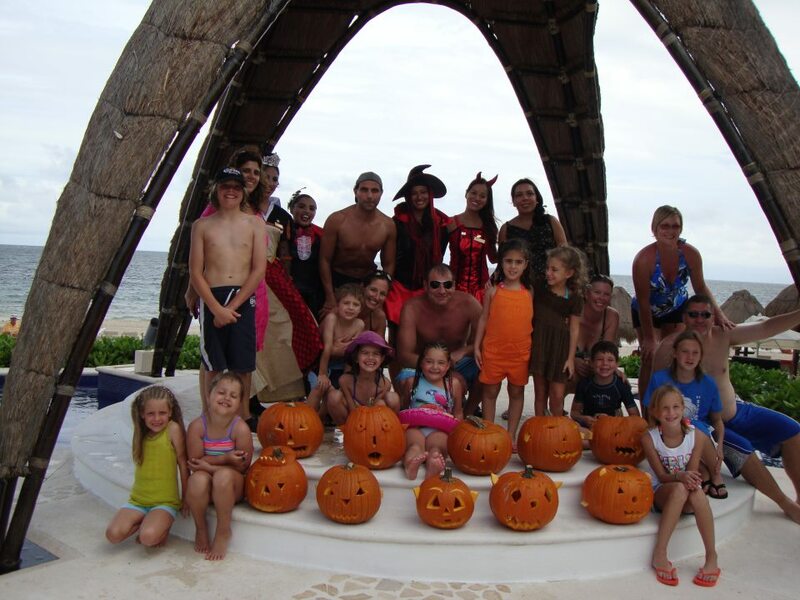 Then the kids will have the opportunity to trick or treat around the resort with an employee host. What fun while on vacation on Halloween! This entry was posted in Dreams Cancun, Dreams La Romana, Dreams Los Cabos, Dreams Puerto Aventuras, Dreams Puerto Vallarta, Dreams Punta Cana, Dreams Resorts & Spas, Dreams Riviera Cancun, Dreams Tulum, Dreams Villamagna, Uncategorized and tagged costumes, Dreams resorts, Halloween, pumpkins. Bookmark the permalink. ← Dreams La Romana Is Now Only 40 Minutes from Punta Cana!